In 2006 I commissioned wine journalist Simon Woods to write a feature on the return of the négociants.” In his wide-ranging overview he examined the new breed of négociants, like the dynamic operations of Vincent Girardin, Dominique Laurent and Nicolas Potel, but he also looked at the re-birth of several of the large, traditional négociant houses of Burgundy. I recently had the opportunity to spend some time visiting the various properties of Albert Bichot. Current head of the company, Albéric Bichot, is the sixth generation to be involved in the business, and he has expanded all areas of the operation whilst upping quality throughout. Although a large volume of generic and village Burgundy appears under the Bichot label, there are also some fine individual estates within the Bichot portfolio, including Domaine Long-Depaquit in Chablis, Domaine du Pavillon in Pommard and Domaine du Clos Frantin in Vosne-Romanée. My tastings began with two of Bichot’s wines, a Bourgogne rouge and village Gevrey-Chambertin, which immediately pointed not just to the quality of the wines, but to the house style. These wines offer a hugely impressive marriage of clean, modern, fruit-dominated style, but with real Burgundian finesse and elegance. The wines are also very precise, and reflect their terroir beautifully. Bichot’s generic Bourgogne rouge comes from old vines in the Côte d’Or and Côte Chalonnaise. It has a pale crimson colour, and a nicely expressive, perfumed nose with delicate floral and rose-hip nuances to redcurrant and cranberry fruit. On the palate there’s a suggestion of creaminess from some small barrel aging, but this is a forward, brightly-focused, very nicely poised style of fruity Burgundy, with more of that summer fruit character and nicely ripe tannins adding a silky but grippy edge. Acidity is very good too, in an impressive generic Burgundy. 88/100. £8.99, Harrison Vintners, Grapevine. Les Corvées is a Lieux-dits just south of the village of Gevrey. Around 40 – 45% of new oak is used in the maturation of this wine. The colour is a medium ruby, and the nose offers exquisitely expressive aromas of truffle and spice-edged raspberry and cherry fruit. There’s a touch of game, but this is a charmingly fruity and quite delicate aromatic profile. On the palate there is more weight and depth than I would have anticipated, with little liquorice nuances to quite sinewy, fleshy, deep plum and cherry fruit. The tannins are brisk and positive, and a good core of acidity keeps this very fresh. Quite a solid, powerful wine, with richness of oak supporting the finish. Impressive village Gevrey-Chambertin. 91/100. £21.00, Soho Wine Supplies, Harrison Vintners. 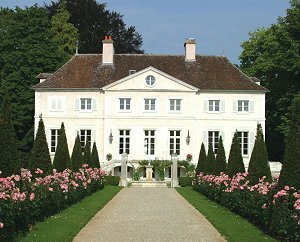 The Château of Long-Depaquit is without doubt one of the most imposing in Chablis. Long-Depaquit is a substantial vineyard owner, with more than 65 hectares (160 acres) of vines including the Monopole Grand Cru ‘La Moutonne’, a superb amphitheatre of vines that straddles the Grands Crus boundaries of Preuses and Vaudésirs. This is classic Kimmeridgian rock, planted densely and managed in a near organic regime. In fact, 10% of Long-Depaquit’s holdings are Grands Crus, with vineyards in Les Clos, Preuses, Vaudésirs, Blanchots and Bougros. For these and their six Premières Crus sites, all picking is by hand, with fruit sorted both in the vineyard and back at the state of the art winery in the village of Chablis. Stainless steel tanks are used for vinification, though some wines also spend some time in oak. This includes La Moutonne, where around 25% of the wine is matured in a blend of new and mostly older barrels. I thought the wines of Long-Depaquit were excellent overall, with a great deal of subtlety and finesse married with a modern, fruity and approachable character. The three vintages of La Mouton which I tasted were amongst the best of an impressive portfolio. There’s a little touch of mealliness on the nose here, but this is a classic Chablis, with aromas of fresh, crisp apple and plenty of stony minerality soon dominating. There’s a little touch of orange too, and a certain lemon zest quality. On the palate this is beautifully cool and poised, with really expressive apple fruit and a certain pithy dryness to the acidity. Lees-ageing gives some richness to the texture, but the crisp, precise white fruit, citrus pith and mineral edge keeps the whole picture sharply focused. Lovely generic Chablis. 89/100. £9.50, Four Vintners, Soho Wine Supplies. All of the Premier Cru level wines I tasted were excellent, but I especially liked this from Vaucopins. Quite creamy and rich, a fine gun-flinty minerality comes through strongly. Quite a waxy character follows through onto the palate. Lovely fruit here, and plenty of ripeness and luscious fruit quality. The dry acidity sweeps through, leaving this quite fresh and succulent. 90/100. £13.50 – £15.00, The Grapevine, Four Vintners, Harrison Vintners. Please note that if the 2005 is available, it too is a delightful with great concentration. The 2004 has a pale green/gold colour, and a really charming nose, that has seductive hint of honey and oatmeal, with a ripeness of fruit beneath that hints at tropicality. Really ripe apple comes through, but there is also a flinty minerality here. In the mouth this has real presence, with a broad, expansive texture, but one that is pin-sharp, riven with mineral and lemon acidity, though given flesh by that juicy, quite full and fat fruit and textural weight. This is a very fine Chablis, that is structured, very precise and poised, yet there is a delicious expansiveness of fruit that is trying to burst through. 93/100. Around £30.00, see all stockists on wine-searcher. 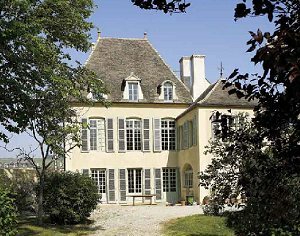 Domaine du Pavillon lies in the village of Pommard, with 17 hectares of vines spread around the villages of Meursault, Volnay, Pommard, Beaune and Aloxe Corton. The vineyards include two monopoles owned solely by Albert Bichot, the walled Clos des Ursulines in Pommard and the Clos des Maréchaudes, composed of 50 ares of Grand Cru Corton and 1.5 hectare of Aloxe Corton Premier Cru.Here, as in all the Bichot estates, Albéric Bichot has understood that whilst preserving a very Burgundian approach to winemaking, much more concentration has to be placed on the vineyards. There are open-top fermenters, plenty of whole-bunch fermentations, and very gentle handling of the materials, whilst in the vineyards there’s a near organic regime, with high-density replanting, low yields and a concentration on achieving balance in the vines. Again, the wines here were most impressive and suggest the effort is very much worthwhile. This Meursault has a pale golden colour, and a really inviting nose that is buttery and dense, with a creaminess and nuttiness of English apples, just the faintest suggestion of something more exotic and tropical in the background, and core of lemony fruit. On the palate this seems powerful and rich, striking the palate with abundant, ripe and sweet orchard fruits and a certain weight and presence. The mid palate has some oak showing quite prominently, with a touch of whisky-barrel and spice, but also a refined orangy acidity and real suggestion of minerality to sharpen the whole picture. Long and very nicely balanced, this is a concentrated and fresh white Burgundy of considerable style. 91/100. £19.99-£21.00, Oddbins, Soho Wine Supply. Aged for around 15 months in oak, about 30% of which is new, this wine has an attractive garnet colour and a refined, delicate nose, where little floral and red fruit notes intermingle with some minerals and old, polished wood notes. On the palate it is a dry, savoury, grippy wine, with redcurrant and cherry fruit, and again that crisp edge of minerality running decisively through the core. A little hint of a plummier fruit and more smoky depth floats tantalisingly around the finish, but it is crisp tannins, refined acidity and a savoury, juiciness of fruit that stays the course in a very finely-tuned and well-balanced Pommard. 90/100. £19.99 Soho Wine Supplies, Four Vintners. 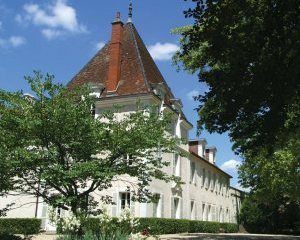 Domaine du Clos Frantin has been in the Bichot family since 1969, though a lack of space means wine-making has moved from Vosne-Romanée to a large facility in Nuits St-Georges. Thirteen hectares of vineyards encompass Flagey-Echezeaux, Gevrey- Chambertin, Vosne-Romanée and Vougeot. Bichot is not afraid to use new oak, but is careful to adjust the percentage according to the qualities of the vintage.Only red Burgundy is made here, with a second sorting of the grapes on arrival, before they are moved by gravity to the open-topped fermenters. A maceration of 17 to 21 days occurs in two stages, the first between 15 and 25°C to emphasise fruit, the second between 28 and 35°C to extract body and tannin, with daily punching-down of the cap. Pressing is done at low pressure, and the wine is run into barrel by gravity in order to keep a maximum of fine lees. Maturation in small oak casks follows, the proportion of new oak varying from 35 to 100% according to the quality of the vintage. After 14 to 17 months, wines are bottled without fining and with a very light filtration. Around 85%, but sometimes up to 100% of the grapes are de-stalked for this village Vosne-Romanée, and around 40% of the barrels used for its 16-month maturation are new. It has a medium-deep cherry red colour, and a nose that is creamy and quite subdued, with some delicate rose-hip nuances to ripe red fruit, hinting at strawberry and raspberry. On the palate this is quite tight and bright, with a certain nervosity, as plenty of juicy, mouth-watering fruit and acidity combine. There’s a burgeoning depth here, with both a spicy quality of oak, and earthiness of flavour just building on the mid-palate. This wine has supple tannins, and the long, savoury finish is highly promising. 91/100. Hand-harvested into small, 30kg crates, fermentation of mostly de-stalked grapes preceded a 17 month maturation in barrels, around 70% of which were new. It has an inviting, voluptuous nose, with heavy, velvety dark fruit and creamy, quite chocolaty aromas. There’s a nicely gamy, dark and truffly note too, but the fruit is youthful. The palate has a stripe of firm tannin and quite austere acidity running against a palate displaying perhaps a little too much oak at this stage perhaps, so the fruit is just masked slightly for the moment. Tannins are firm and liquoricy, and the structure of this wine suggests it will continue to improve. 93/100. Around £55.00, see all stockists on wine-searcher. Coming to the 2005 vintage of the same wine, which spent 19 months in barrel, shows a very similar but more taut, floral-edged and sleek aromatic profile. There is plentiful fruit here, of red berries and blackcurrant, with a delightfully exotic, Lapsang souchon and sandalwood character beneath. On the palate this is very refined, with am immediately racy finesse. Supple, suede-like tannins and fine acidity run through the precise, delicate yet concentrated fruit, with just hints of truffle and a layered complexity. This is a baby, and though tight and with obvious potential for development, it is beautifully balanced and already showing length and poise. Superb. 94/100. Around £60.00, see all stockists on wine-searcher. 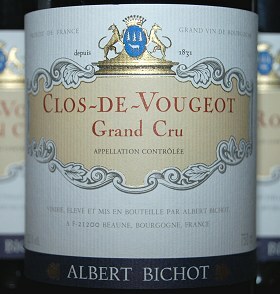 See all Albert Bichot wines on wine-searcher.